Hi THKA, I will be visiting HongKong on March 8 2010 at 9pm, and leave on March 11 at 10AM. Im looking at staying in Tsim Sha Tsui and would like to know if you could recommend cheap hostels there (since i'll be spending most of my time outside). I would like to see your advice of the best itinerary if I would like to visit The Peak, Disneyland, and Ocean Park. Thanks so much! The Hong Kong-Macau Ferry Terminal is a ferry terminal or heliport situated at Shun Tak Centre, Connaught Road West, Sheung Wan at Hong Kong Island side. It is also known as the Macau Ferry Terminal, the Hong Kong-Macau Ferry Pier or the Shun Tak Heliport. Getting there by MTR trains is very efficient as it is located right on top of Sheung Wan MTR station, Exit D.
See more details in getting to Macau in here. But since you are coming from the Star Ferry Pier 7 in Central, I think there's no need for you to get into any bus or taxi as you could just walk to your right about less than 10 minutes to get into the Hong Kong-Macau Ferry Terminal at Shun Tak Centre (MTR Exit D). See map below for your reference. I would like to ask if there are City Buses route from Central Star Ferry at Pier 7 to HK Macau Ferry? what are the bus # and bus company? How much? Can we use the Airport Express Travel Pass as our mode of payment? If we opt to walk, how many minutes would it be? Thank you. HK insider Don in here. 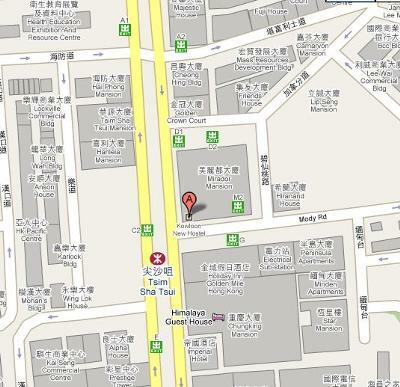 Our recommendations for Hostels is the Mirador Mansion in 58 Nathan Road, Tsim Sha Tsui, Hong Kong. There you can find as low as HK$150 for overnight stay. Above, we provide a location map and as you see that the place is very accessible and so with the MTR access (the EXIT signs). For your itinerary, we think this recommendation that you can see in this page (you need to scroll down on that page) is the best for you...please click here to read the details.